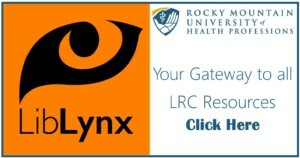 Welcome to the Rocky Mountain University of Health Professions Learning Resource Center! 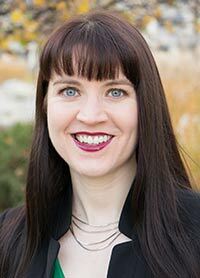 Ashley has a Master of Library and Information Science (MLIS) from the University of Wisconsin-Milwaukee, a Master of Science (MS) in Psychology from BYU, and a Bachelor of Arts (BA) in Psychology from the University of Utah. More recently, Ashley completed an internship at the University of Utah Marriott Library. Ashley’s background includes positions as an Adjunct Psychology Instructor and Interim Librarian at the Art Institute of Salt Lake City and a Psychology Instructor at BYU. Ashley has worked at RMU since January 2016. Mrs. Newmeyer received her Bachelor of Art in Humanities and Comparative Literature, Master of Library Science (MLS), and Doctorate of Jurisprudence (JD) from Brigham Young University (BYU). She worked as Reference Librarian at the Howard W. Hunter Law Library before and after completing her JD. She left BYU to raise her young family while doing freelance legal work for attorneys and law firms, later returning to full-time employment in 2008 as Executive librarian and adjunct paralegal instructor for Broadview University. She is an evaluator for the Accrediting Council for Independent Colleges and Schools (ACICS). 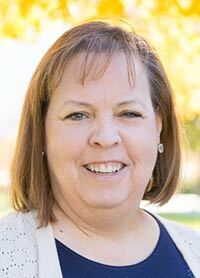 In 2016, she joined Rocky Mountain University of Health Professions as Medical Librarian. Karen loves to help others, whether by helping them find the latest information on a particular subject or just finding a good book to read. To Access any of the LRC Databases and Resources, You Must Use the Link to the Left. Login through Okta using your RMU email and password. Let us know of any problems or concerns you encounter! Please be aware that to continue to have access to the LRC resources, contact Karen or Ashley to get an individual account set up. Send Interlibrary Loan requests to: [email protected]. Please include as much information as possible with your requests.